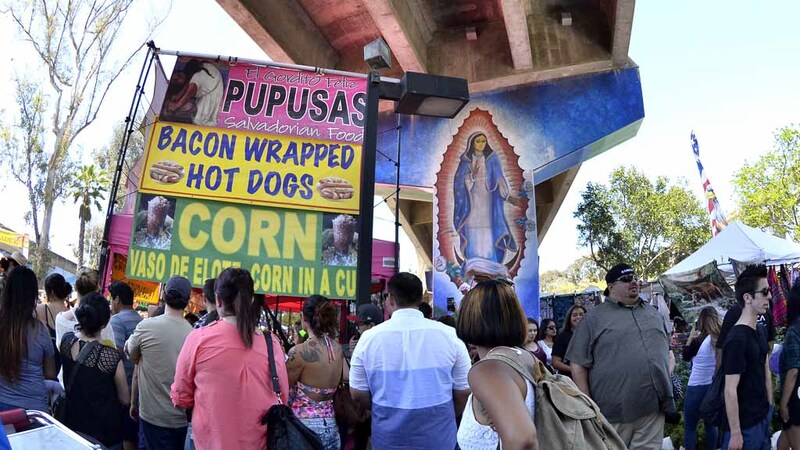 Chicano Park in Barrio Logan inched closer Wednesday to becoming a National Historic Landmark. The Chicano Park Preservation Act, a bill introduced last year by Rep. Juan Vargas, D-San Diego, moved out of the House Committee on Natural Resources on unanimous consent. The bill will be moving forward with the possibility of being considered on the House floor before the end of the 114th Congress, according to Vargas’ office. The bill would instruct the secretary of the Interior to conduct a thorough study of Chicano Park in order to evaluate its national significance and determine the feasibility of the park becoming a National Historic Landmark. The park is under the San Diego-Coronado Bay Bridge in Barrio Logan, a San Diego community with a large population of Mexican-Americans. It’s adorned with murals, sculptures and landscaping. The park was created after a group of residents came together to boycott the construction of a California Highway Patrol station on the site of what is now Chicano Park. In 1980, the park was designated as an official historic site by the San Diego Historical Site Board. In 2013, Chicano Park was listed on the National Register of Historic Places due to its association with the local Chicano civil rights movement in San Diego.